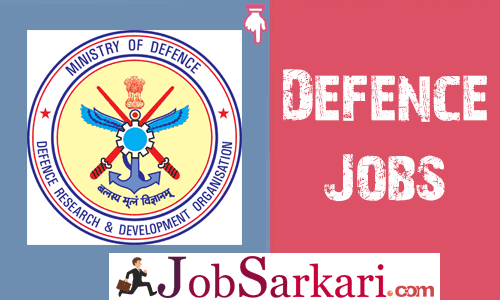 Check Latest govt jobs in Defence. has a place of dignity and respect amongst the youth, though not very high on the popularity graph as a career option these days. To get into Defence Jobs 2019-20 student are really excited and feels proud after getting in defense. However, this career option is not that popular as compared to other. Most of the candidates who apply for defence jobs come from areas which have low opportunity options. Here are the names of various Indian armed forces Indian Army, Indian Navy, Indian Air Force, Indian Coast Guard, Assam Rifles, Special Frontier Force, Central Reserve Police Force / CISF, Border Security Force / BSF, Indo-Tibetan Border Police, Central Industrial Security Force, Sashastra Seema Bal, Railway Protection Force, National Disaster Response Force, SFs (NSG & SPG ) and other armed forces. You can also check Railway Jobs , Bank Jobs, 12th pass govt jobs and more things on Jobsarkari. Serving and protecting your country is the most esteemed and respected job in any part of the world. The Indian Armed Forces are divided into four uniform categories that are Indian Navy, Indian Air Force, Indian Army and Indian Coast Guard. Jobs in the Indian Armed Forces offers a career full of enthusiasm, challenges, and adventure. Above all, there is no greater feeling than to serve for the protection of India and its people. Working with defence forces will provide you a once in a lifetime opportunity, to develop and test your exact potential. You will be able to develop numerous innovative skills and will also learn different scenarios to apply those skills. Defense jobs require you to be on alert all the time and be intellectual in everything that you do. You will understand that defense jobs are more than your ordinary remuneration. In armed forces, country comes first. Money is secondary and something which should not even matter to you. Only think about it, if you have no passion or love for money. There is simply no place for it. The Indian Army offers job recruitment for both permanent commission and short service commission. In other words, it means that when you opt for permanent commission (PC), you will be appointed for a permanent career with the Indian Army, until you retire for your services. The officers for Indian Army are also selected through the non-UPSC procedures. Defence Jobs in Indian Army Click Here to Apply. Defence Jobs in Indian Navy Click Here to Apply. Just Indian Navy, you can join Indian Air Force through a different number of branches that it has to offer. Among these branches, a few of these are – National Cadet Corps (NCC), technical branches, women special scheme and service entries among others. All these categories are divided into three main types, in which you are recruited based on your skills and education. Following are the three main branches of IAF. Defence Jobs in Indian Airforce Click Here to Apply. Individuals who are willing to join the Indian Armed Forces must meet certain eligibility criteria to apply for the jobs. The criteria involve specific age limits, medical situations, education details, and many other things. For each of the above categories of Indian Armed Forces, the criteria will vary slightly. However, for all the different departments of Indian Armed Forces, it is essential for you to clear the medical examination and physical fitness test. The selection criteria for Armed Forces is basically as follows. The entire selection process for the Armed Forces is conducted by the Ministry of India. Each year, hundreds and thousands of young individuals apply for these jobs, but only a few get the opportunity to serve this great nation. This shows the difficulty level of their selection process. So prepare yourself accordingly, and who knows you might get the opportunity to serve this great nation. Click Here to Check All Defence Jobs in India.